My journey to having another baby has been a long road, and my pregnancy is nearing the end. While I know it shocks and even scares some people I know, my husband and I decided to have a homebirth. It was not an easy decision, but after everything, I think this decision is best for me, the baby, and my husband. When I got pregnant in 2012, we had planned on going with a midwifery that had a birthing center because my ob/gyn office added a new doctor that I did not like. He is the doctor that I had in the first part of my pregnancy with Sissy Girl, and you can read why I don’t like him here. However, after my first visit, I quickly realized that the place I had chosen, while it was nice and I liked the midwife, was too far for me to drive. As much as I didn’t want to go, I ended up at my ob/gyn anyways when I started bleeding. The place has 4 ob/gyns, and the one I saw did an ultrasound, told me he thought I had a bladder infection, and sent me for some blood work. I lost my baby that night, in my home, while my children slept and my husband was working thousands of miles away. I did not know I was actually having a miscarriage until right before it happened. I went back to the office the next day only to find out from another ob/gyn in the office that the ob/gyn I had seen the day before had done me an incredible disservice. My baby was already dead when I saw him the day before. He told me you could see where the sac was deflated. I have no idea why the other ob/gyn did what he did. I guess I am lucky that there were no complications, but honestly the experience traumatized me. When I got pregnant again a few months later, I had no intention of ever going back there. I found another place. It was a birthing center, and it wasn’t too far from where I lived. There was an obstetrician connected to the practice, and he was the one who took care of me when I had my second miscarriage last June. I was happy with my care, so it seemed natural to go back there when I got pregnant with Sweet Pea. However, the doctor read my quad screen results wrong. It was a 1 in 130 chance, not a 1 in 30 chance as I had first been told. Then in the late spring, we had an issue with the birthing center itself that not only destroyed my trust for my midwives, but it made my husband so upset that he said if I wanted to continue there, he would not be there for the birth. We both agreed that I would not be delivering there. However, I had no idea what to do at that point. I was more than half-way through my pregnancy. I have had rotten luck with ob/gyns. I just wanted to be able to enjoy my pregnancy and not be stressed out. I got the names of a few other ob/gyns in the area, and then one of my really good friends mentioned her midwife. She had talked about her before and the wonderful experience she had with her. I talked to a few other friends that knew the midwife and heard nothing but great things. 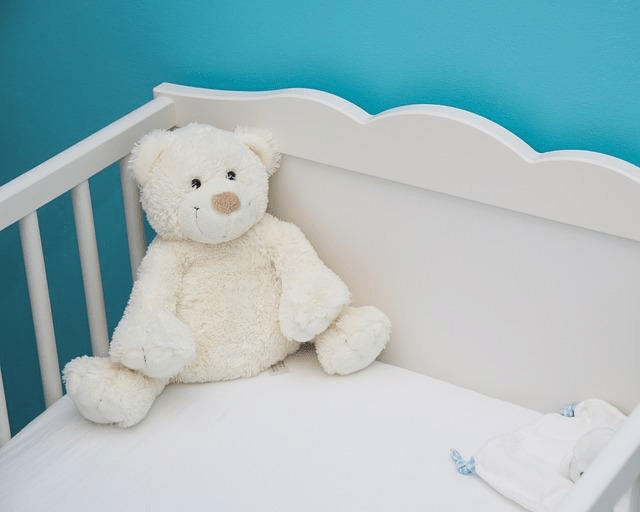 The idea of having a baby at home seemed a little scary, but at the same time, I thought it was worth talking to this midwife to explore the option. Halfway through meeting her in person, my mind was made up. She was knowledgeable and answered all my questions. I told her my fears because of loss, and she put me at ease. For me, that was important. I have spent so much of this pregnancy nervous. I had nightmares the first time I went baby shopping. It took me forever just to go shopping for baby stuff without breaking down in tears at some point. To have someone who was willing to listen and not treat me like I am being irrational in feeling the way I do is important. I know that a homebirth is not right for everyone, but for me, I feel this is what I need. She is a professional, and she is so helpful. I am still nervous at times, but I feel like I am in good hands. I have to say I am envious. Although knowing what I know now, I’m glad I did not choose home birth, the reason I did not for my first kiddo was based solely on ignorance and fear. Something you overcame. I had an unhealed fractured tail bone that re-fractured during both of my kids, although I went to a birthing facility, used a midwife and chose natural birth (all in an effort to avoid hospitals and doctors) in the end I got an epidural. After 36 hours of screaming labor, I asked my natural birth midwife, “is there something I can take that won’t pass the placental barrier to just help me get through this?”, her response… after a long pause, sigh and an obvious reticence, “there is nothing on this planet that will get you through having your tail bone separate, except an epidural.” I spent another 12 hours screaming and then had an epidural. I regret and yet don’t regret, after 3 days of hard labor, 2 of them screaming, I got a good nights sleep and was woken up and being told it was time to push. As I did so we were all telling jokes and laughing, the first sound my little one heard was laughter, not screaming. Bottom line, I think that home birth is incredible, your baby already knows the sounds of home, the voices of it’s family and the smells. The opportunity to offer such comfort and familiarity as your little one enters the world is precious. I think more women should consider this option. Kudos for you for taking the time to educate yourself, being courageous and not assuming everyone else knows best, just because they have a piece of paper on the wall.